Greg Koenig, co-founder of Luma Labs, recently performed a calculation to find out an approximate figure for the gold content of the forthcoming 42mm gold Apple Watch. His guess lands around 29.16 grams, which is roughly $853 at today’s gold prices. And that’s without even taking the electronics into account. Other parts were also left out of his calculations, like the crown, button, strap clasps and molding runners. The calculations are just an approximation based on an average wall thickness of 1.15 mm between the thicker structural areas and the thinner sections. Nonetheless it’s quite interesting, and it’s also a whole lot more gold than I had expected. Using these calculations we can make the guess that the golden Apple watch will go for around $5000. 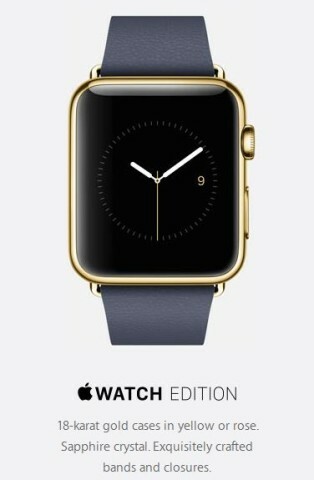 So yeah, it’ll be pretty, but you’ll feel pretty stupid when the next generation Apple watch comes out. Also worth mentioning is that Apple plans to keep these in special safes at the Apple stores, quite understandably.